"Is there any way to open PDF in Paint?" When you need to edit the pictures in a PDF file, Paint can be a great option. You can tweak any kind of images through Paint but the problem is that you cannot open PDF in Paint since the format is not compatible. 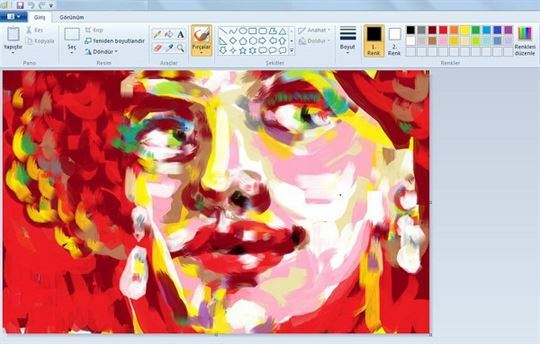 Paint only supports images and Windows bitmap formats. So the best way is to convert PDF to Paint supported image formats. After conversion, you can open the PDF document in Paint and edit or tweak it as you wish. This process can be easily achieved by using one of these useful PDF to image converters that can help you open a PDF file in Paint easily. Here are two methods for how to open PDF files in Paint, including with PDFelement ProPDFelement Pro. You have the option to convert files into various formats within a few minutes and you can use this effective tool on scanned images without any hassle. 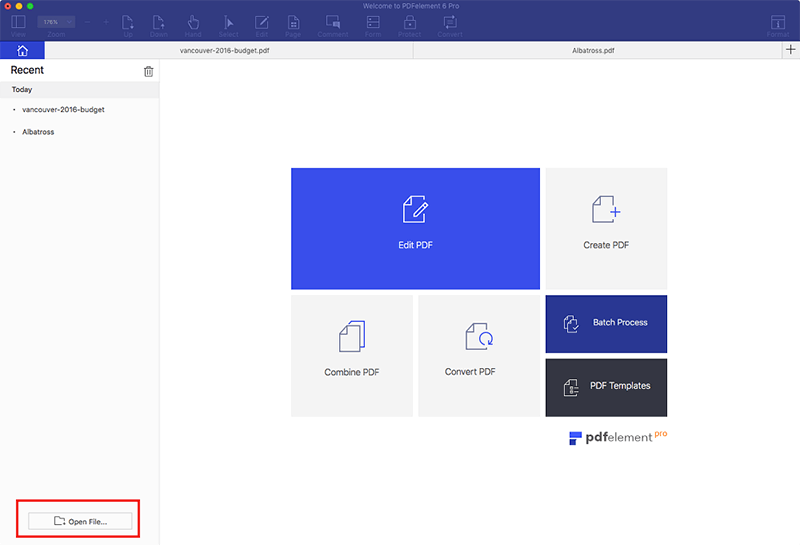 Before converting PDF to Paint compatible formats, you can edit the text, images and pages in your PDF, annotate and sign PDF, create PDF forms, and set passwords to protect your file. Easily open PDF Files, even secured PDF documents. Convert PDF to Word, Excel and more formats, or batch convert multiple PDFs. Access multiple PDF markup and annotation tools. Edit text, images, and links in your PDF easily. Create PDF from other formats and create PDF forms easily. PDFelement Pro for Mac has a user-friendly interface and a comprehensive help section. All you need to do is install the software and then follow the simple guide given below. Launch the program and click on "Open File" to select the PDF documents and add them to the editor. 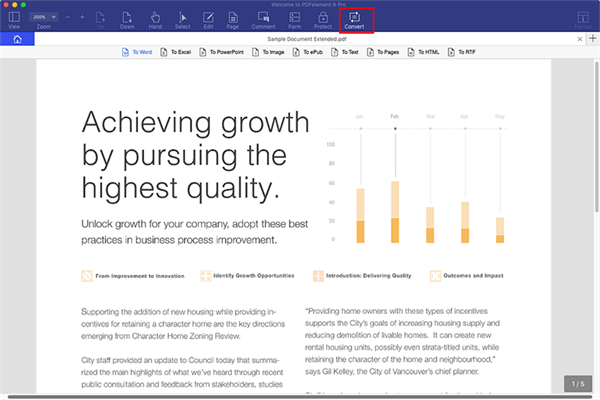 You can edit the PDFs with a variety of tools before conversion. And this powerful PDF tool supports batch conversion. So you can add more than one PDF file to the converter and convert them to different formats as needed. Next, go to the toolbar and hit the "Convert" button to open the output setting window. Click the format and select the desired image format like JPG, PNG, BMP, TIFF or GIF from the dropdown menu and hit Convert. This will activate the conversion process. Once the conversion is done, you will have a high quality image converted from your PDF file. Now you can open the converted image with Paint and edit it as required. 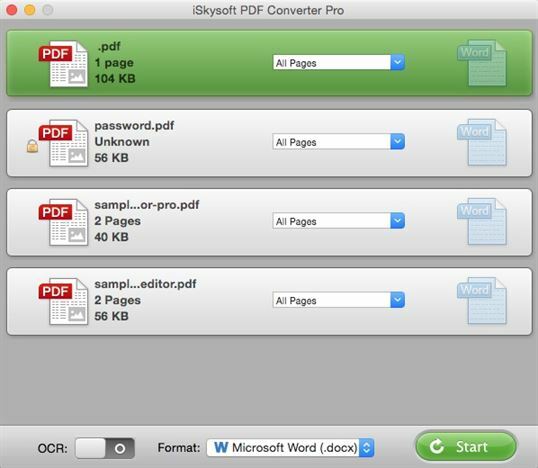 iSkysoft PDF Converter Pro for Mac (or iSkysoft PDF Converter for Windows) is another option to convert PDF to Paint supported formats. It allows you to convert PDF to images including JPG, PNG. BMP, GIF, and more while retaining formatting. The most convenient thing is that you can import multiple PDFs and convert them all at once. Also, you can choose to convert partial pages from PDF and scanned PDF is also supported. You can directly drag and drop PDF files from your local folder. Or click the "Add Files" button to select PDF files and import them into the program. Now select image type as the output format and click "Convert" to start the conversion. Part 3. What Formats Are Accepted by Paint? A few other formats can also be used alternatively in Paint but the ones above are the only ones guaranteed to retain the same quality and consistency. There are various software programs available for converting your PDF document into one of these formats so that you can open and edit it in Paint. Many of these programs also provide PDF editing options which can be used simultaneously. 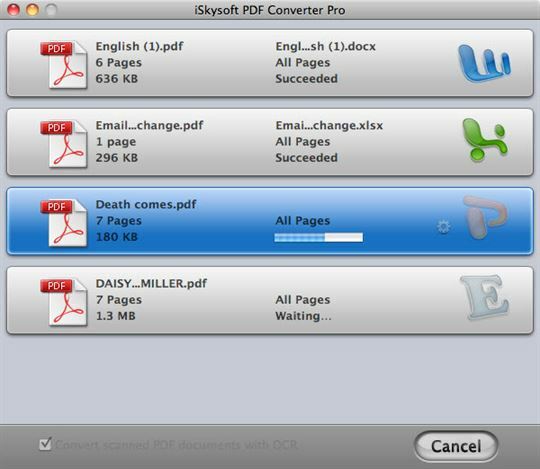 When you are about to convert your PDF file, you will be prompted to select the destination where you want to save the file. Ensure that the pathway to the destination is clear and you don't waste time in searching for the files later. PDF files are often password protected and in such cases you can use PDF Editor Pro for Mac OS which helps you unlock the document and convert the file into any format like Word, JPEG, BMP and more. This application comes with the power to help convert multiple files at the same time. You can open and convert more than one file together without hampering the speed of the conversion process in any case. PDFelement Pro(macOS 10.14 Mojave included) is a very simple and easy to use software with a user friendly interface that is not too hard to learn for a beginner. If you do face problems, you can access the "Help" section online which will serve as a guide.